Envied for its geo-strategic position as an access point from the Mediterranean to some of the largest southern European markets, Barcelona is a place where major transport corridors converge and all modes of transport come together: maritime, air, rail and road. The city also has the necessary facilities and infrastructure to carry out quality, large-scale logistics activities. According to the sector’s professional association, Barcelona-Catalonia Centre Logístic (BCL), the logistics sector contributes to the economic development of Catalonia with more than 4% of gross added, 12% of the gross added value of the services sector, and 4% of the people employed in Catalonia. The Port of Barcelona alone represents almost 2% of Catalonia’s GDP. As BCL states: “Catalonia is the logistics centre of the Iberian Peninsula. It accounts for 20% of the companies involved in freight and logistics, 20% of GDP and 30% of Spanish exports. This leading position of Barcelona and Catalonia is the result of their geo-strategic location, a complete infrastructure network, which connects all modes of transport, and its mature and consolidated industrial and commercial fabric that is able to offer all the services needed by logistics companies, exporters/ importers and international operators. Catalonia has a unique geographical location. With the ports of Barcelona and Tarragona as the main inter-modal nodes, the principal traffic corridors between Europe and Spain pass through Catalonia. Likewise, Catalonia is very well situated in terms of maritime traffic starting and/or ending in Europe and heading east (to the Middle-East, India, China and the Far East) and West (South, Central and North America). 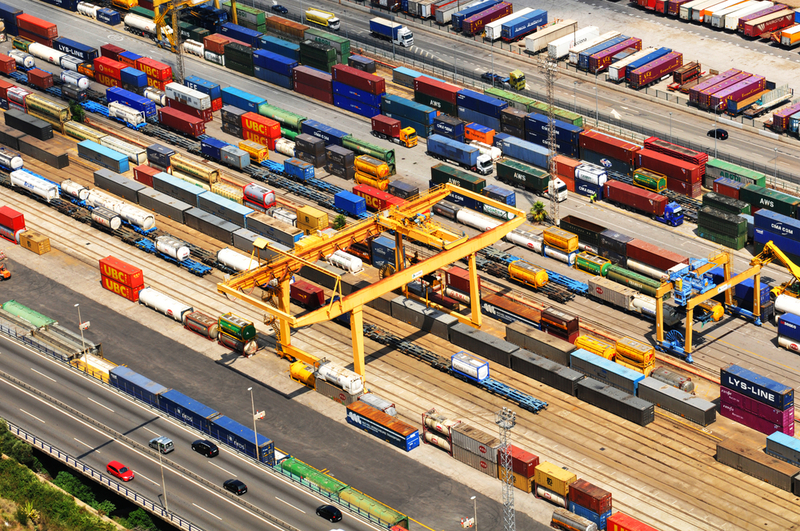 Terrestrial communication and rail networks allow logistics operators established in Catalonia to serve the Iberian Peninsula and south and central France. Barcelona International Airport was enlarged recently, and today offers excellent services to international air cargo operators. Catalonia is the chief logistics centre in Southern Europe. Its geo-strategic position, transport network and the presence of mature industrial and commercial sectors all reinforce its position as a gateway to Europe and to the sub-Euro Mediterranean area. Logistics and transport are essential for economic growth and we are striving to improve the competitiveness of logistics enterprises. The Mediterranean Sea is a natural route for trade flows between Europe and Asia, accounting for 20 million TEUs per year, a figure similar to the Asia – America sea corridor. The growing importance of this trade is an opportunity for the Mediterranean coastal system, whose ports and logistics installations could optimise transport operations which up to now were mostly oriented towards the Atlantic ports of Northern Europe. This is also true for trade flows with South America and North Africa, which are taking on an increasingly important role in international trade. The Europe-America maritime corridor, whose natural relationship is with the ports of Northern Europe, accounts for only 6.2 million TEUs per year. This means that today the Pacific and the Mediterranean are the two major shipping corridors for global trade.